Whether the primacy should be accorded to Chief Justice of India or not is for the legislature to decide, the bench said. Dismissing the challenge against constitutionality of certain provisions of the Lokpal and Lokayuktas Act, the Supreme Court has held that the Constitution does not mandate that in all matters concerning the appointment to various offices in different bodies, primacy must be accorded to the opinion of the Chief Justice or his nominee. Just Society had approached the apex court, contending that sections 3(2)(a) and 4(1)(d), 4(1) (e), 4(2), the second proviso to Section 4(3), Section 10, the proviso to Section 14(3), Section 16, Section 37(2) and Section 63 of the Act are ultra vires Articles 14 and 50 of the Constitution of India. 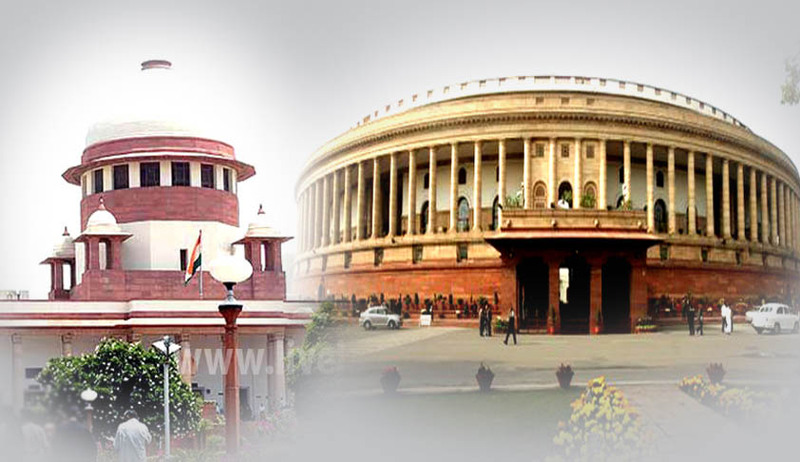 They also contended that, as per the provisions of the Act, the Chief Justice of India or his nominee judge of the Supreme Court, under Section 4(1)(d) of the Act, is a mere member of the selection committee and the opinion rendered either by the Chief Justice of India or his nominee judge has no primacy in the matter of selection of chairperson and members of the Lokpal. The court said if the legislature in its wisdom had thought it proper not to accord primacy to the opinion of the Chief Justice or his nominee and accord equal status to the opinion rendered by the Chief Justice or his nominee and treat such opinion at par with the opinion rendered by other members of the selection committee, “we do not see how such legislative wisdom can be questioned on the ground of constitutional infirmity”. “It is not the mandate of the Constitution that in all matters concerning the appointment to various Offices in different bodies, primacy must be accorded to the opinion of the Chief Justice or his nominee. Whether such primacy should be accorded or not is for the legislature to decide and if the legislative opinion engrafted in the present Act is in contrast to what is provided for in other Statute(s), such legislative intention, by itself, cannot understood to be constitutionally impermissible,” the bench observed. The court also rejected the contention that that there are no norms/criterion laid down for appointment of an 'eminent jurist' under Section 4(1) (e) of the Act, thereby, rendering the aforesaid provision of the Act legally and constitutionally fragile. “Decision being left to a high power body consisting of high Constitutional functionaries enumerated in Section 4(1) (a) to 4(1) (d) of the Page 5 Act, no ex-facie illegality can be discerned in the provisions contained in Section 4(1) (e) of the Act,” the bench said.